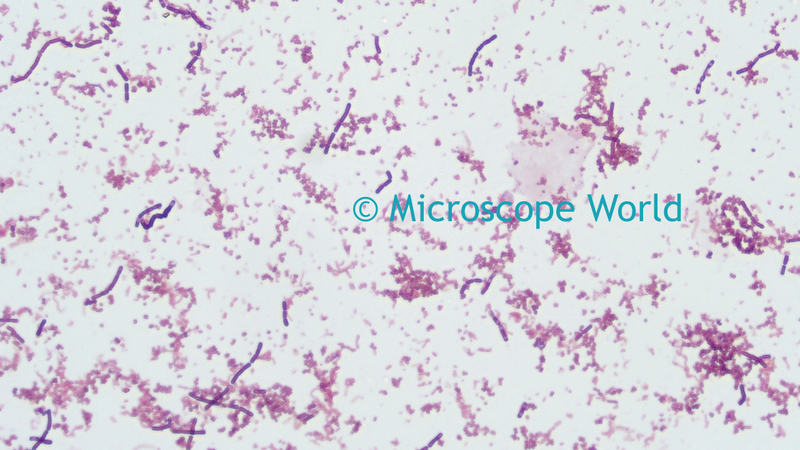 Microscope World recently took a Gram stain prepared slide of three different types of bacteria and captured images using different microscope objective lenses. 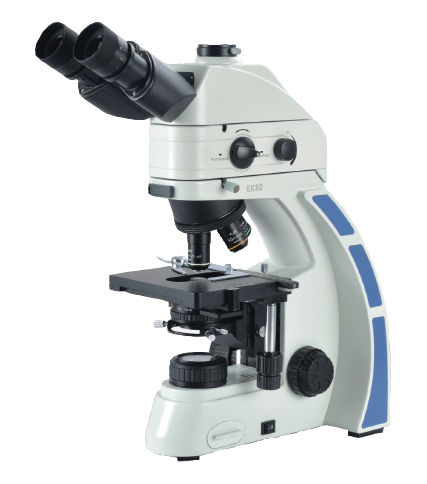 The microscope used to view the bacteria was the Fein Optic RB30 biological lab microscope. Bacteria captured using the Plan Achromat 4x Objective Lens (40x total magnification). Bacteria captured using the Plan Achromat 10x Objective Lens (100x total magnification). 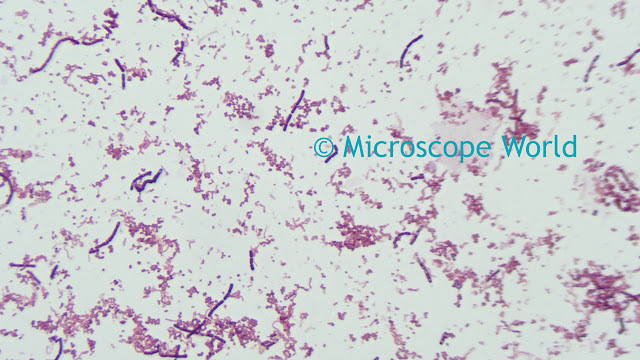 Bacteria captured using the Plan Achromat 40x Objective Lens (400x total magnification). 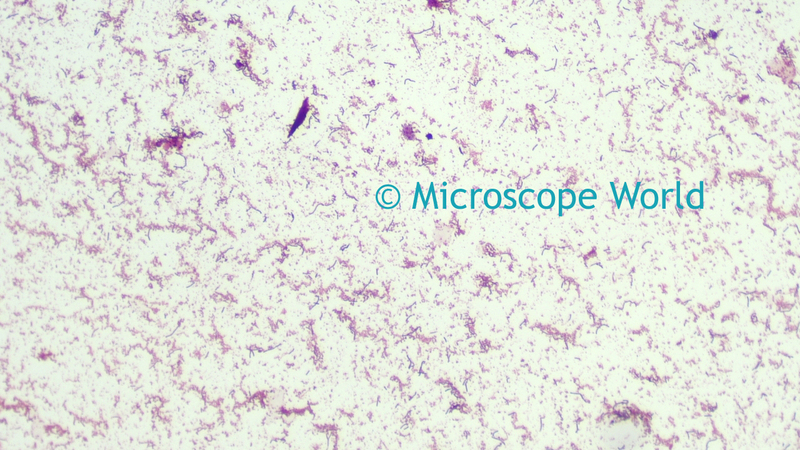 Bacteria captured using the Plan Semi-Apochromat Fluor 40x Microscope Objective (400x total magnification). 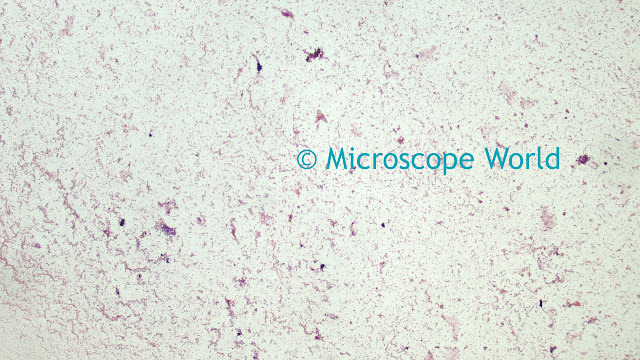 Click on each image above in order to see a larger image. Can you notice a difference in the quality from the Plan Achromat 40x lens and the Plan Semi-Apochromat Fluor 40x lens?